CMP Linen Inspection Tables are high quality stainless steel tables designed for inspection and folding of hospital linens drapes and packing wraps. Rips and tears in bedsheets, pillowcases, blankets, towels, etc. can be detected easily and quickly after each laundering. CMP Linen Inspection Tables possess an integrated large illuminated work surface that has been designed for the hospital and emergency room environment. CMP current model, high quality stainless steel Linen Inspection Tables have been updated with LED lights to replace the traditional fluorescent striplight. Projected life is 50,000 hours at 70% lumen output. 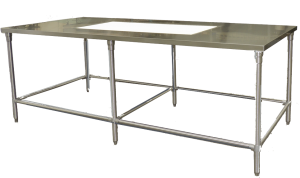 CMP Linen Inspection Tables are constructed of type 304 stainless steel. Welding is done by the Heliarc process. All exposed welding is ground and polished to match the No. 4 finish. 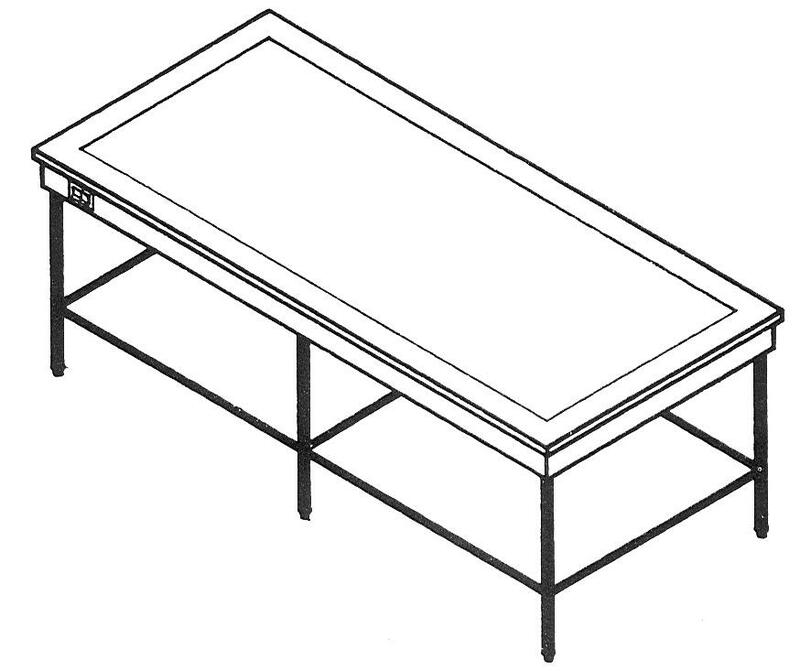 CMP Linen Inspection Tables have a counter top working surfaces that is 36” high (914 mm). The counter top is constructed of No. 16 gauge (1.5 mm) stainless steel with 1½” (38 mm) boxed perimeter edge all around. The counter top is recessed and fitted with a flush mounted, thick clear translucent Plexiglas diffuser. A LED light panel with continuous air louvers is located directly below the diffuser pane. Lights are pe-wired to a rocker arm light switch and 10 ft. long hospital grade power cord and plug at end of table for connecting to a range from 100-277V, 50/60 Hz, single phase electric receptacle. The under structure is supported with six 1 5/8” diameter stainless steel tubular legs with adjustable bullet feet and 1” diameter perimeter cross bracing continuously welded to uprights.